A variety of data science and analytics tools help businesses access quick insights that drive big decisions. Here is a list of the most powerful tools, that can help SMBs gain a competitive edge. On a level playing field, a small business could never hope to compete, let alone keep up with, major organizations. They don’t have the resources, capital or manpower to throw at every potential solution. It’s unfortunate, considering just how many there are out there. SMBs in America account for 99 percent of all businesses and a whopping 54 percent of total sales. Every wrong investment an SMB makes is one step closer to failure, which has an overall impact on the entire market. 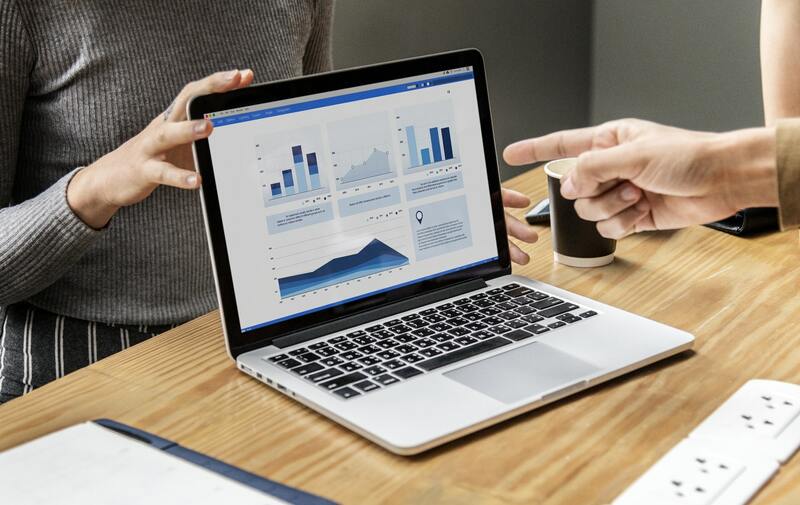 That’s why small businesses need tried and true tools to make informed decisions, which is exactly what business intelligence and data analytics platforms offer. How do you know, for instance, if your online presence is living up to your brick-and-mortar one? How do you know if your marketing and advertising campaigns are having a positive impact? How do you know what your prospective audience thinks about your brand? These are all questions that can be answered through the right data analytics solution. So what are these infamous tools, and what are the most powerful solutions that an SMB owner can get their hands on? When it comes to common web statistics pertaining to your website, social accounts or online presence, nothing beats Google’s platform. If you have your Google accounts all synced up — including Adsense — you can see the exact performance of any marketing and advertising campaigns, the most important stat being ROI. It’s a comprehensive solution for general web reporting and also happens to be incredibly popular, even with large businesses and organizations. While this tool is a freemium service — meaning free initially — once your business grows, you’ll have to pay for higher-tiered services. Don’t worry though — once you get to that point, you’ll know whether or not it’s worth the investment. With Google Analytics, you can discern overall traffic, various patterns, and movements and a basic level of customer sentiment. But what if you want to dig a little further? What if you want to see exactly what people are doing when they visit your site? Why are they leaving? What products or pages are they looking at most, and where are they focusing their attention while on a page? MixPanel offers complex behavioral analysis for online users. It’s made even more powerful thanks to machine learning support, which can help identify hidden patterns and read actionable intel. Like Google Analytics, MixPanel is freemium but will cost money once you start enabling some of the more advanced features and services. Many analytics platforms include some form of user tracking or behavioral analysis, that much is true, but nothing delivers more than an accurate heat map. Think of it as an activity tracker for what customers are doing or looking at while visiting your website or online portal. Crazy Egg’s heat maps are some of the best and most comprehensive. Want to see what elements people are looking at on the front page? Need to understand why people never go any further than a few pages in? What are they avoiding entirely? Don’t worry — heat mapping can give you the answers you’re looking for. More importantly, you can identify problem areas or sections of your site too. With heat maps, you can see exactly where users are encountering issues and sometimes even why. Crazy Egg is a premium service, with tiered plans starting at basic. It sounds a little strange on paper — or on screen — but real-time idea testing can be invaluable for an SMB who wants to make sure their decisions and investments will pan out. Optimizely allows you to test with digital and virtual mediums. You can test, for example, a variety of elements like design, product development, and marketing initiatives. You can also run your experiments across devices, channels and even a variety of customer touchpoints. Think of it as a simulator for modern business, only with very real results. Nothing beats a good collection of user and audience feedback about your products and services. You’ll get a chance to hear sentiment from the people that really matter — those using your products or services. With UserTesting, you get the opportunity to witness customer-created videos of said users speaking their mind. They share candid and real insights about how they felt using your products or services so you can learn exactly how or why something is — or isn’t — working with ample time to adjust. The content can also be shared easily across your organization, including with execs and potential investors. It’s one thing to have a huge collection of customer insights and performance data and another to be able to sort, process and extract further information from the datasets. As an SMB, you aren’t going to have the time or resources to pour into analyzing this data yourself. You can also outsource the work, but why not tap into machine learning for efficient, automated solutions? Queue IBM’s Cognos Analytics, an AI-powered personalized analytics and machine learning platform with remarkable potential. The cloud application will do all the legwork in regard to analyzing any data or information you feed in. You can also leverage predictive analytics systems to gain even more from your data. Like many of the analytics tools on this list, Kissmetrics offers a lot. What will really help SMB owners is the audience segmentation support. You can use the tools to identify and highlight loyal and worthy slices of your customer base. Want to know what resonates with them the most or what products or services they’re more likely to spend on? Kissmetrics ties in with a variety of other marketing and performance solutions to acquire and analyze data too. For example, you can integrate the tool with your email marketing campaigns to see how various customers relate to that part of your efforts. Kissmetrics does offer a free trial for a limited time, but ultimately, it’s a premium service that you’ll have to pay for. If privacy and security is a big deal for you in regard to the data and insights you’re collecting, Matomo might be the ideal solution. As opposed to deeply integrated and large-scale web analytics platforms, it’s open-source. Instead of this system being developed, maintained and even powered by a large external company, you can take advantage of close-to-home features. For instance, the data or analytics you acquire from this tool remain 100 percent yours. In addition to hosting your solutions in the cloud — with several options — you can also host them on-premise. The system is GDPR-compliant and has no data limits, meaning your campaign won’t be capped after a certain amount of traffic. The program is also highly customizable thanks to its open-source nature and an incredibly active development community. Most of the products offered by Matomo are free thanks to their open-source philosophy. There are, however, certain premium features and upgrades you can buy through a connected marketplace. You didn’t think we’d neglect mobile, did you? If you have an app or are planning to deliver one, Flurry can help you analyze its performance. It helps you see customer behavior, conversion rates, problematic app features and more. You can also tap into user pathing — similar to heat maps — to see what your users are doing within your app. Finally, you’ll gain access to a robust set of app-centric demographic and audience analytics tools with this program. Flurry is freemium in that it’s free to use initially but comes with several premium upgrades and packages. You won’t need more than the basics for a long while, however. Relyence: The suite offered by this company delivers reliability software and quality tools to delve into the predictive nature of maintenance and ongoing support. ClearStory Data: Tap into advanced data mining and analytics with results that can be read by everyone, including employees. InsightSquared: This analytics platform will integrate with apps you already use — including Salesforces, QuickBooks and Zendesk — to deliver information. Canopy Labs: Canopy Labs is a deep customer analytics platform with enhanced behavior tracking, sales monitoring, and predictive model development. Tranzlogic: This program integrates with merchant and payment solutions to extract credit card and online purchase information. This secondary list is also just a handful of solutions that are potential alternatives. Once you explore the idea of analytics, customer metrics, and predictive solutions, you’ll realize that small businesses have more power than ever before. Even the most unorganized of startups can see incredible growth and potential with the right data science tools. Need help with data analysis? 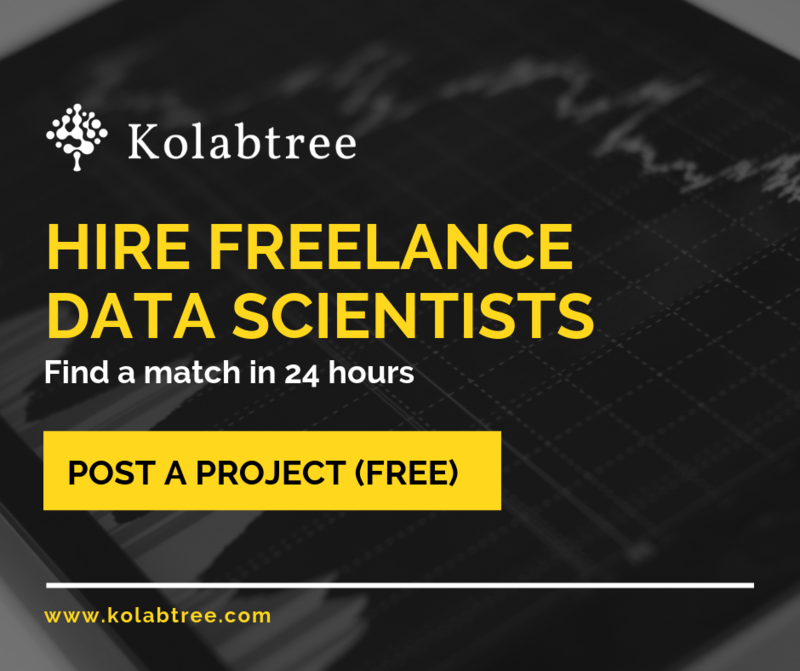 Hire a freelance data scientist on Kolabtree for help. It’s free to post your job and get quotes from experts!